For about a week or so, my Switch has been telling me people are playing Octopath Traveler. Feeling left out, I decided to purchase it - backlog be damned! I love the “HD-2D” visuals and the music, although in typical Dave fashion I haven’t actually done much in the game so far. I’ve not even reached the point I did in the first demo, but I have a weekend off now to get stuck into it. Based on that demo, I’m playing as Primrose as I’m curious to see how the story plays out; I will have my revenge! Or I will get distracted by sidequests. Either way, I’m expecting an enjoyable couple of days. I'm still playing Paladins so I'll probably have a few rounds of that. 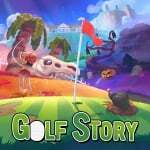 Fancy something new though so I'm eyeing up Golf Story or Axiom Verge as potentials. I'm travelling this weekend, so I need something 2D that won't drain my battery super quickly, and those two meet the criteria quite nicely. Probably should be Stardew Valley or Hollow Knight but I've bought these two already so shush. I haven't really played my Switch much recently though; I kind of feel like I'm waiting for the new shiny things to play. 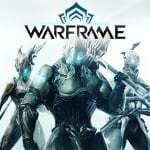 I'm super excited for Warframe, for example, and really just want to get started on the big old grind in that. 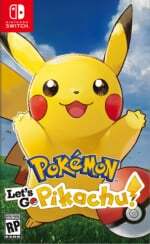 Then there's Pokémon Let's Go and Tales of Vesperia – two games that will literally have to fight each other for my time. I hate waiting! Sun, Sea and Switch… my weekend in a nutshell, basically. As well as frantically trying to tan my embarrassingly pale skin at the local beach, I’ll be rounding up some friends on and offline for some free-to-play gaming sessions. 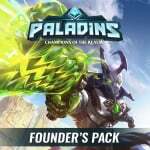 Paladins and Fortnite (this member of NL staff still needs to figure out how to build and run at the same time) will be getting my undivided attention as whenever I take a peek at my friends list to take a nosey to see what my fellow gamers are playing, these two titles are, without fail, always being played. Time to 'git gud'. 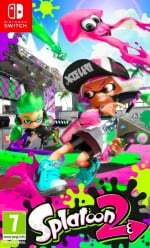 The new stage, Ancho V Games on Splatoon 2 looks to be in rotation for a lot of the weekend, and with the new weapons to try out and some serious levelling up on the cards, inking fellow squids on the battlefield is an absolute must. Oh, and losing on Mario Kart 8 Deluxe's 200c mode, too. This weekend, we’ll be in the process of adopting a new dog - and one of my secret burning ambitions is to design Nintendo Labo toys for pets. I plan to hunker down and try my hand at a dog treat dispenser or ball launcher - but if anyone else has additional ideas for dog-friendly Labo designs, leave them in the comments! I’m determined to cross the canine-human lexicon via videogames. If I manage to succeed at this endeavor, I’ll be sure to share the results (fair warning: I will likely fail miserably). Side note: our newest furry family member is a white wolfhound/lab mix, so we’re thinking of naming her Ghost, à la Jon Snow’s direwolf. Speaking of which - can we get a Thrones game on Switch sometime in the near future? I’m going to need it after Season 8 ends. 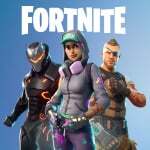 As always, top priority this weekend will be making sure to keep on top of my daily challenges - and, hopefully, the harder weekly challenges - on Fortnite. Once they're all cleared up, though, I might actually brave the potentially time-consuming and addictive world of Octopath Traveler. 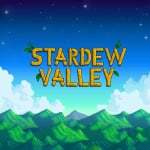 I've been holding off from playing, partly because I'm not sure how well I'll get on with the actual gameplay itself (I love some RPGs, but sometimes they just don't really do it for me), and partly because I'm scared that I'll get hopelessly hooked on it and have even less time for anything else in my life. Anyway, I've finally downloaded the demo and might play through its three-hour limit over the next couple of days - at least that way I'll know what to expect if I take the plunge! 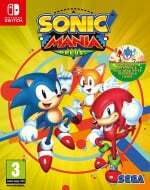 I’m still hooked on Sonic Mania Plus. It’s mostly because it’s a game you can jump straight into rather than having to wait around in a lobby for half an hour while other players join. The new encore mode featuring Mighty and Ray has been giving me the quick fix I need. I've even been playing the competitive mode with family and friends. 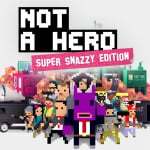 This weekend I'll be shooting up a sweary storm in Not A Hero: Super Snazzy Edition and channelling my inner Mort for some reaper-esque duties in Flipping Death. Both games couldn't be any different in terms of gameplay, but they both share an irreverent and dark sense of humour so they've already scored some brownie points with me (tune into Nintendo Life next week to find out just how many). Still playing Octopath Traveler almost exclusively. Hyrule Warriors Definitive Edition, continuing the Master Quest map to get all the level 3 weapons. I just picked up Blazblue Cross Tag. Great little fighter, but I also made the mistake of finally getting Hollow Knight and I'm hooked. I then doubled down on mistakes and played the Yoku demo, and need that in my life now. Also preordered Dead Cells. Super excited. Probably will have a couple games of Frost in there too. Rrrrrrrrocket League! Also +1 on being amped for Dead Cells upcoming release. Looks ace! @SmaggTheSmug Working also. That's why I bring my switch to work. Have recently got back into Overwatch, so will play that and Splatoon probably. Gun, Gore & Cannoli 2 and Splatoon 2. Maybe a bit Rocket League. I've been playing kingdom on the switch and No man's sky on PS4. Might finally play something other than Xenoblade 2, having seen the credits roll last night after 200+ hours. Bayonetta, Octopath, Hollow Knight... or do I go back and grind for those last two missing blades and do some post-game stuff? Now working my way through Crash Bandicoot: N Sane Trilogy. Got my 103% on the first game and have 21/27 platinum relics but my god are they getting infuriating. I thought The High Road was bad enough, I'm dreading Stormy Ascent. Other than that, continuing to pile on top of my 100 hours of Fortnite. Amazing games. As Octopath turns to be boring as hell so I've dropped it, I let my Switch take some rest until new decent AAA titles to come. The incredible Hollow Knight. Just need to earn some more Geo to get Unbreakable Strength so I can earn Salubras Blessing, beat the Grimm Troupe and The Radiance. I'm at 98% completion I believe. An absolute masterpiece. I'll watch my son play Fortnite and maybe get some Splatoon 2 in too. Besides Octopath Traveller I’ll probably try out the new modes for Shantae Half Genie Hero. Quite different for this week. Continue the storyline until Commander Galdra joined in my team. Spending more than 3 hours to design my big house + gym for 6 peoples. Still need more furnishing. Playing for a while after The Sims 4. Finished the Mob Hunt to vanquish Rogue Tomato. Will be playing some N sane trilogy, some KH 2.5, Fortnite and maybe some I am Setsuna. I’m chipping away at Taiko No Tatsujin (and looking forward to the Ghibli level pack next week). I should probably see why Enter The Dungeon has updated a few times since the expansion. In the mood for something new, maybe pinbally. I might pick up Yoku’s Island Express, and maybe a Pinball FX level pack. I had been holding out for a sale on both, but I’m an impatient man! I’m on my way to italy by car which is a long trip so I bought a lot of games. I’m finishing up xenoblade 2, I will probably play one of the following games next: sonic mania plus, owlboy, octopath traveler, chrono trigger, earth defense force 2025, disgaea 4, maramusa rebirth or persona 4 golden. Maybe a bit of minecraft if I get bored of action gameplay and story. I didn’t get much gaming in on my Fortnite Friday ritual, so I’ll pick up where I left off this morning. Then a life break dropping a car at Ford and helping a friend fix a fridge. The deluge of rain continues this afternoon, making a perfect time for finding all the hidden Pixel Toads. Maybe some more This Is The Police; gotta get Boyd that retirement money. I am playing paladins and finally got my middle boy to play Wii sports. So there has been a lot of tennis played over the last week. He has been curious about our Wii since he played odyssey and really like the motion controls. I have been telling him to play galaxy for years, but he has been intimidated by motion. I think he has gotten over it finally. I'm currently playing Wind Waker HD, Breath of the wild, Super Mario U and Injustice on the Wii U. 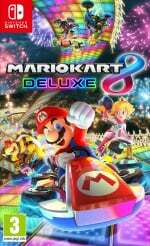 One step behind hardware=good value Nintendo gaming! I’ve just been playing the Octopath Prologue demo, really liking it but holding out on getting it cause might be getting it as gift for Christmas. So playing through Mario + rabbids as well. Salt and Sanctuary and Iconoclasts, and feverishly waiting for Dead Cells! Community Day in Pokemon go today. It was delayed until today in Japan because the original date we got hit with a big Typhoon. Xenoblade Chronicles 2 is top priority for me because there are so many RPGs out now and coming soon, and I really want to finish it before I dive into another massive timesink. I have a ways to go, just started Chapter 4. Time will tell if I actually finish the thing. I'll also dip into Paladins for at least a couple of battles. It's nice that there are so many new players since the free launch, makes it much easier to get a match going. A couple of runs in Darkest Dungeon should complete my single-player adventures this weekend, and I'll probably fire up ARMS with my kid for an hour or two. Octopath Traveler. I'm 10 hours in, I've just gotten my 6th character, so I'm grinding to get him (Alfyn) up to a higher lvl so I can take on his boss. My main is Primrose. She's lvl 15 right now. I'm really hooked on the game. It brings back memories of playing Chrono Trigger and Final Fantasy games. I've always loved RPGs, but haven't been hooked on a game recently. There's something magical about this game. It's in my top 3 favorite games of all time. 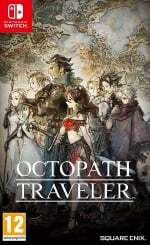 A bit like Dave (top of the list) got Octopath Traveler to see what all the hype was about, but also because there is not much is the way of new big Physical games for the Switch at the moment. I am wondering if it will keep me coming back for the 80 hours plus reviewers have said is needed to complete it. 6 hours in and I'm not sure. 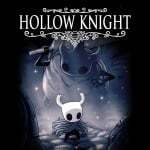 Hollow Knight! I'm at the final boss (I think?) but there's plenty of stuff to do, still. Highly recommend everyone to download the Yoku's Island Expres demo! 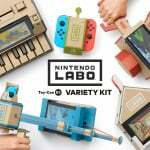 Labo for pets? Cats are easy; just give them a box! A treat toy would also be good. When a sensor is covered by a paw, a treat is made available. Or even something that involves a sequence of sensors. I've found that pets become way more intelligent when treats are at stake. I will be playing Dawn of the Breakers, Fallout Shelter, Minecraft and UNO this weekend. 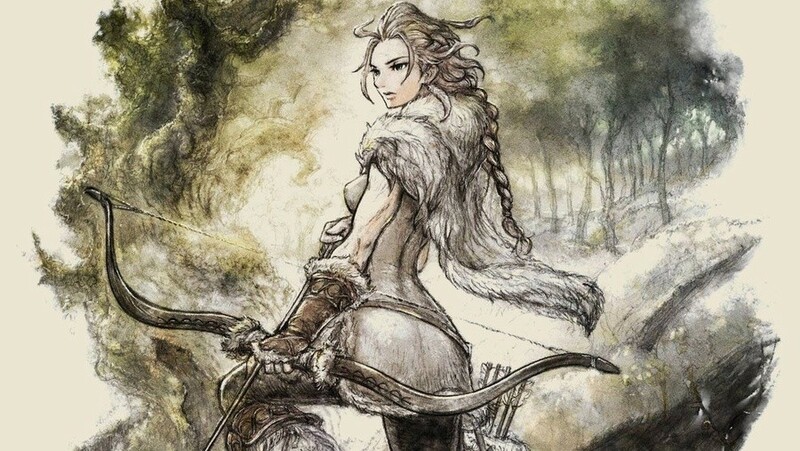 Just finished all eight stories in Octopath Traveler and I couldn’t be more excited about never having to play it again. 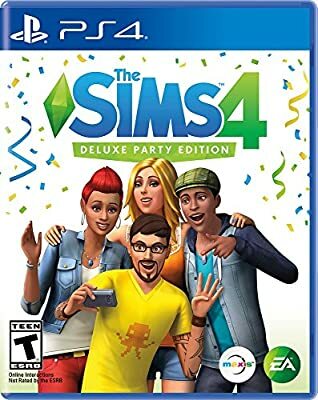 I really enjoyed the first 3/4th’s of the game but at one point it suddenly became so damn boring. On to Iconoclasts and NMS:Next, which has been pretty great so far. Trying out Street Fighter 30th Anniversary in the current sale. It's not really my style of gaming, but the nostalgia factor alongside a package full of arcade perfect titles has tempted me. It only remains for me to work out how to "git gud" with as little effort as possible. Anybody know any idiots guides to SF? PS4-Yakuza 6, Fighting EX Layer, and Street Fighter V.
Switch- Sonic Mania Plus, some Neo Geo games. I’ve had Mario Tennis Aces since launch, but recently I feel like the game finally “clicked” with me and I totally have improved tenfold. It’s now an obsession and I’ll be playing all weekend. And I’m also enjoying WarioWare Gold quite a bit, and it’s kind of bittersweet, seeing as this likely will be my 3DS’s little swansong. Of course I’ll still be playing my 3DS for years, but I do believe this was my last major retail purchase. This weekend it is all about Horizon Zero Dawn on PS4! Taking a break from Fortnite on Switch for a bit. @Cobalt I don’t think it is, unfortunately. Thought it was a pretty average shooter with a Star Wars skin. It does have a damn good Star Wars skin, though. Maybe one last effort trying to obtain medals in Sonic Mania (the blue ball stages) to unlock stuff, then hopefully some Picross S2 and Mega Man X8. Finishing up Octopath Traveler then finally going to start Captain Toad. Been wanting to play it since I got it but Octopath was taking up all my time. ... and Paladins when she sleeps. Warioware Gold - SO GOOD! Edit: Just beat the story mode. Oh my gosh... The ending of the game is so funny! I love Lulu. The voice acting works so well. It’s cheesy, but so funny in a quirky weird way. Octopath has it's hooks deep in me, I dropped Rank X in Clam Blitz so that's being rectified when I can hit the rotation, and I'll be honking on that crackpipe that is Wario Ware GOLD whenever I get the itch. I would continue working my way through Ocarina of Time, but I’ve just reached the endgame of Octo Expansion, so if any gaming takes place for me this weekend, that’ll be first priority. 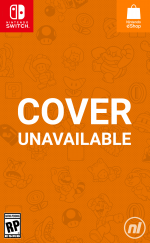 Link's Awakening on the 3ds virtual console. @LordVal aw fantastic, congratulations, enjoy every second. My oldest turned 10 yesterday, I have no idea how that happened! Splatoon 2, Golf Story and XC2. I'll probably continue to grind the post-game content in Danganronpa V3 on the PS Vita. Additionally, my Gamecube AV cable and Mayflash Gamecube adapter are supposed to arrive today, which means I'll play Donkey Kong: Jungle Beat on the Gamecube and finally be able to try out Taiko no Tatsujin's demo with the bongos. Harvest Moon. It's a huge improvement over Skytree Village and will do until Story of Seasons gets a Switch release. Pokemon Ultra Sun, Pokemon Crystal, New Leaf. My son has taken over my MH Stories file so I won't be playing that until he gets his own copy and I restart my file again. It's gonna be Octopath Traveler all weekend for me. Before I start a new RPG, I am looking at you Octopath. I thought I would check out a rom I have not played on the NES. It is the glory of Heracles, It appears to be an old-school Dragon Quest clone except with mythology. It is great. I’ll be focusing on finishing the Dawnguard questline in Skyrim with some Enter the Gungeon interspersed throughout. I’ve also had a hankering to go back to Mario Odyssey lately and get more moons, since I beat the main story and stopped. Animal Crossing: New Leaf and Splatoon 2. I had put acnl down for about four years straight but have recently become re-obsessed with my little village. Dragon Quest V is still my RPG of choice for this weekend. Without spoiling anything, the plot is starting to get quite interesting; I suspect that I'm only about 1/4 of the way through currently. When/if I need a break from the above, I'll resume playing Captain Toad: Treasure Tracker on my Wii U. I'm partway through Episode 3, and the stages are actually starting to feel more challenging. ...Also, I've found myself occasionally getting sucked back into the Mega Picross puzzles of Twilight Princess Picross on 3DS. Salt and Sanctuary and Iconoclasts are eating up most of my weekend. S&S in particular. This was a double dip, I had this on my Vita but I couldn't resist having it on the Switch, so I re-rolled and I'm playing a Knight build. Terranigma on SNES. I’m at the end, and then I can move on to something else. Gorgeous weekend so mountain biking all day Saturday and have work Sunday but will mountain bike to and from that. But thanks to the amazing portability of the switch I can take it with me and squeeze in some Octopath traveller at rest stops. I will try to finish Strider (2014) and I just bought Iconoclast, so I will play that one too. @Mrtoad how are you liking Hand of Fate 2? 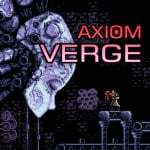 @Rogueleader76 I have to say it’s one of the best indie games, I’ve played this year. 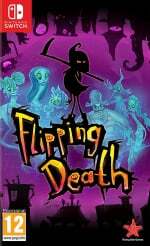 I love the rpg elements and I love the combat system. Pulling off a finisher is so satisfying. I haven’t gotten far yet due to Octopath being so good and life getting in the way, if you’re thinking about getting this game I would recommend it. Go Go Kokopolo 3D, really enjoying the chase em' up. I've been playing more Octopath but also played Mario Kart 8 and Stardew Valley so tomorrow will be more of the same, possibly with some Sky Rogue and Cat Quest. Obviously I lack concentration this weekend! I cant put Salt & Sanctuary down! Absolutely stellar game!!! Working on Troll Blaster (NES Homebrew), Powder (GBA homebrew), and seeing if I can figure out how to run Volgarr the Viking Dreamcast in an emulator. I started Iconoclasts when it came out but I'm really tempted to get Salt and Sanctuary also. At RTX playing some Salt and Sanctuary while waiting for panels. Crossing Souls, Blossum Tales, Yoku's IE and Iconoclasts. So many games! Octopath Traveler and Minecraft for me this week. Possibly Paladins as well. I'm trying to find time for gaming in between the moments I leave home to attempt to finish a novel I'm writing. It's a more difficult balance than I thought it would be. West of Loathing on Switch. Great game. I even have Octopath Traveler and haven't started it because I'm still playing this game. titan quest and salt and sanctuary will have my time this weekend. On Switch I finished all 8 stories in Octopath, playing some Paladins, Splatoon 2 and Fornite as well. Hooked up my Dreamcast yesterday and it's always a treat to play the likes of House of the Dead 2, Crazy Taxi and Grandia 2. Paladins is so addicting along with Splatoon 2! I found my two favorite shooters on the switch. @Mrtoad yeah this game looked really good, thanks! I'm in the same boat, Octopath Traveler is taking a lot of my time (along with life duties). Definitely a game I'm going to be picking up in the near future. Just like last week, Octopath Traveler and Yooka-Laylee.MAybe a bit of Frederic: Resurrection of Music. And Burger Island. Some PC game about running a burger restaurant on the beach. Fire Emblem Sacred Stones on Wii U. Maybe a little Animal Crossing. @sonicbooming Got myself a Pauper war machine man, one man wrecking crew right here. I was planning to spend WAY more time with Iconoclasts but I can’t put this down! I've yet to even start octopath traveler despite having the wayfarer's edition since launch. I’ll be getting some retro gaming on this weekend. Will be busting out the SNES and Genesis. @MartyFlanMJFan tank you so much. Can't believe it yet, it's such an amazing thing! Wonderboy. I like flipping between the 8 bit mode and the remaster mode while I play, they did a great job on this game. "I continuen to playeth thine Octopathen Travellerneth." Iconoclasts, it's a wonderful title. I'm in the minority of folks unimpressed by Octopath. The demo felt like grinding without a decent plot and dialogue. Pretty, though. Not much - doing some travelling this weekend but we have been playing Mario Sports Mix on the Wii U recently. 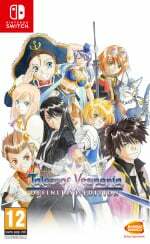 Ys VIII, Street Fighter 30th Anniversary Collection, and Dimension Drive. For me it will be some Xenoblade 2 yet again - I have finally reached chapter 10, and am trying to complete some late-game side quests and grind for a few more rare blades before I tackle the final boss. I just picked up an Xbox one x, so I will be playing with both systems this weekend. I am working also, so it is good to have my switch to bring with me as well. Spending the weekend with two very different games. First Warioware Gold, and I’m loving it so far. Second, and I know it’s blasphemy on a Nintendo site, but I’ve had a real need to play The Last of Us remastered on PS4. I dunno what struck me, but I just really wanted to experience the great story again (played the original on PS3). VERY different games, but hey it works, haha. The Elder Scrolls V Skyrim. Didn't think I would put this much time into it. Haven't had much time for gaming this weekend, but I do plan on getting some Octopath today. I'm still working my way through the Mega Man X Legacy Collection one game at a time. I just finished X7 yesterday, so there's only one game left before I'm done. And luckily, it's one of my favorites too! I've been playing Octopath for 3 weeks straight and I don't see that changing anytime soon. 40 hours in and I still can't get enough. 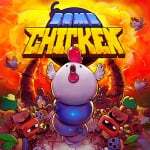 Not sure where to ask this and the internet doesn’t seem to be real helpful either: how does someone go about selling a Switch with a ton of mostly digital games? Do you change the account info? Just not sure on the logistics of it. Don’t panic mods, not trying to sell it here, just not sure how that works. Pretty sure the “married father of 2/gamer” experiment has failed so I’m probably gonna be saying goodbye soon. @sleepinglion Right there with ya man, I WANT to like it but honestly I just don’t think I care about wading through that much text and grinding anymore. I need more control, more of a visceral thing. I’ll grind it out in Salt & Sanctuary all day but walking around in a JRPG? Just don’t want to deal with it. So I am fully aware that Octopath is a phenomenal game, I’m just not into it like 15 year old me would be lol. Damn right it’s pretty though! Iconoclasts for me! Also, definitely share that treat dispenser if you manage to cobble one together—my cat (and most of my foster cats) absolutely love the RC cars and fishing pole from the variety kit, but they’re not exactly made for them. @LordVal Congratulations LordVal!! Our little guy is 18 months and I've loved every single one of them. That's awesome! Octopath and a little FF6 on SNES. @Sakura This is a fantastic idea. And yes, unfortunately the dog variety of toys tend to require a little more... durability lol. But I'm gonna go for it! @Toshiro_Baloney Thanks! It is the most awesome thing that can happen in life!